With the launch of Intel® Parallel Studio XE 2017 the Intel® Compilers have been included in the three new suite editions, Composer, Professional and Cluster. 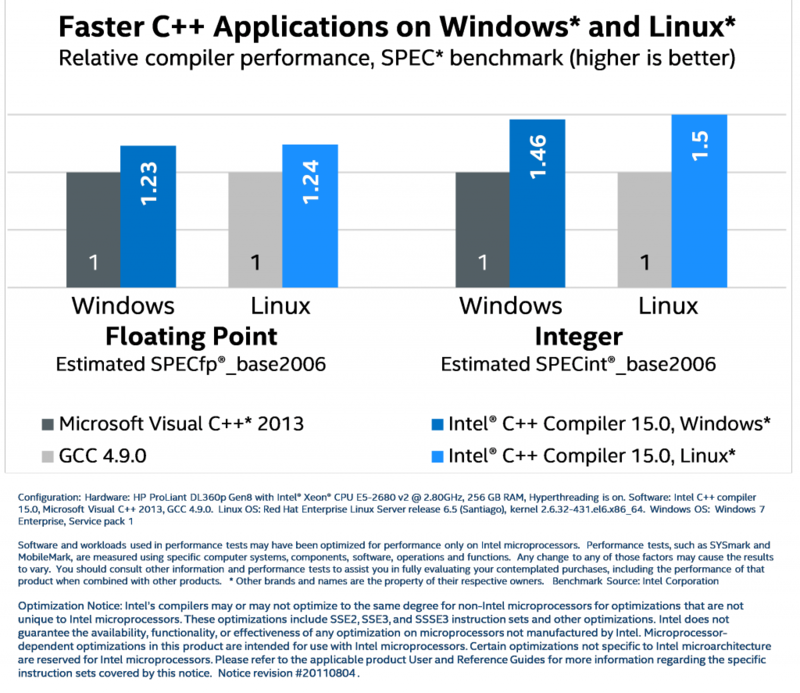 More information about Intel Parallel Studio editions is here. 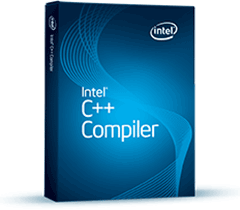 Interested in the Intel® C++ compiler for Android*? Click here. Industry leading performance on Intel and compatible processors. Extensive optimisations for the latest Intel processors, including Intel® Xeon Phi™ coprocessor. Patented automatic CPU dispatch feature gets you code optimized for the current running processor runs code optimized for specified processors identified at application runtime. Intel® Performance Guide provides suggestions for improving performance in your Windows* applications. Intel provides a variety of scalable, easy to use parallel models. 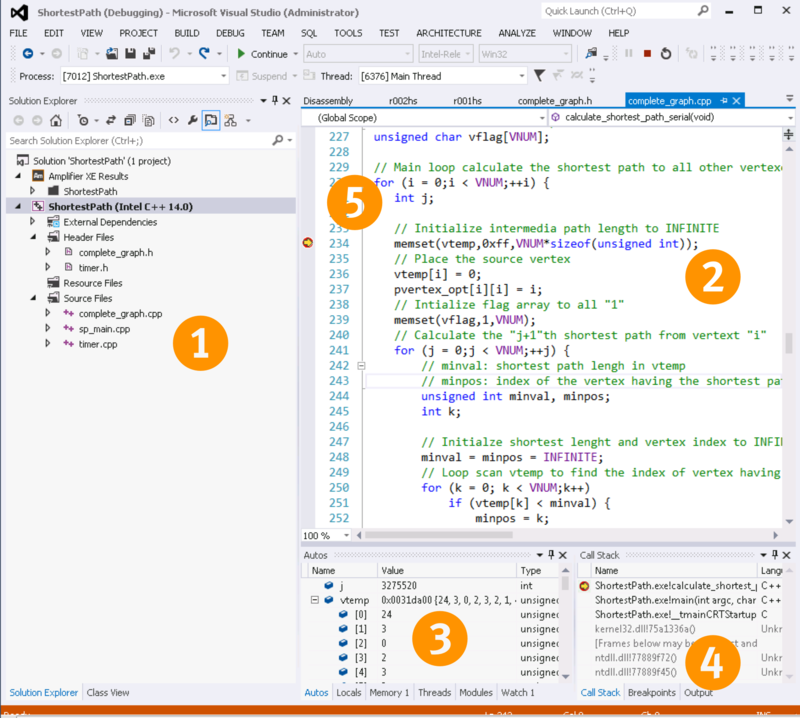 These highly abstracted models and libraries simplify adding both task and vector parallelism. The end result is faster, more scalable applications running on multi-core and manycore architectures. Scale for the future with runtime system operates smoothly on systems with hundreds of cores. Click here for sample code, contributed libraries, open specifications and other information from the Cilk Plus community. Included with Intel C++ compiler and available in GCC 4.9 development branch (with –fcilkplus and the caveat that Cilk_for is not supported yet in a Clang*/LLVM* project at http://cilkplus.github.io/. A cross-platform API for developing consumer and professional media applications. Intel® Quick Sync Video: Hardware-accelerated video encoding, decoding, and transcoding. Development Efficiency: Code once now and see it work on tomorrow’s platforms. Set breakpoints at certain source lines on IDE. One year of support included with purchase – gives you access to all product updates and new versions released in the support period plus access to Intel Premier Support. There’s a very active user forum for help from experienced users and Intel engineers.